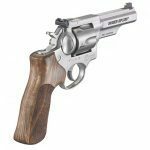 Ruger has taken its GP100 Match Champion fixed sight model and added a white outline, windage and elevation adjustable rear sight. 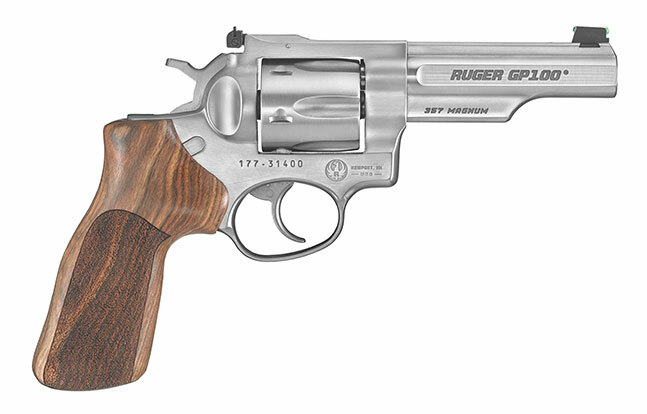 Sturm, Ruger & Company, Inc. has given its popular GP100 Match Champion a very nice facelift. 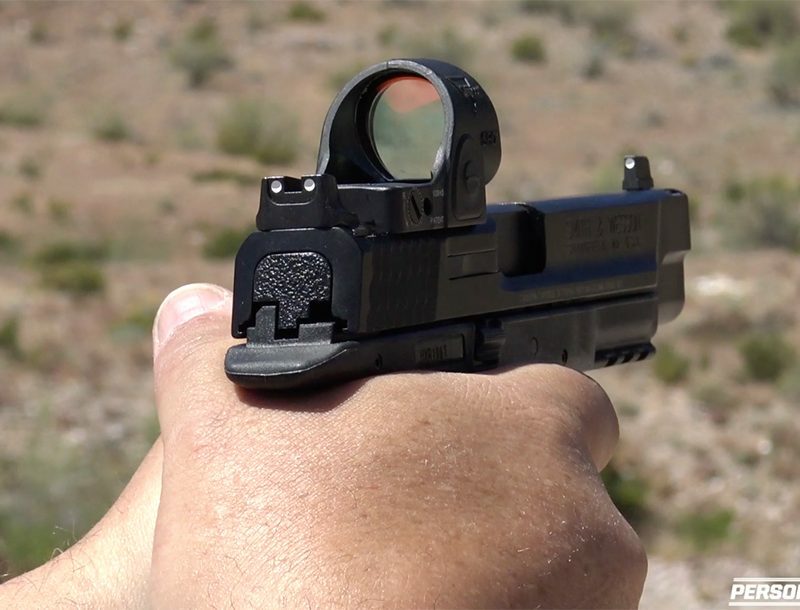 Normally available with a fixed sight, the GP100 Match Champion now includes a white outline, windage and elevation adjustable rear sight which, when combined with the fiber-optic front sight, creates a great sight picture that can adjusted based on the type of ammunition being shot. The GP100 Match Champion is a six-shot revolver chambered in .357 Magnum that is designed for the competitive shooter, with a 4.2-inch slab-sided, half-lug barrel with an 11-degree target crown for competition accuracy. 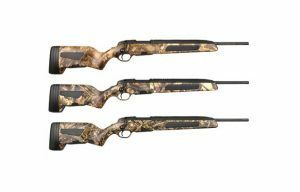 The polished springs and hammer strut, combined with the trigger and hammer shims, provide an exceptional match-tuned action that produces a smooth, double-action pull with a crisp and consistent let-off. 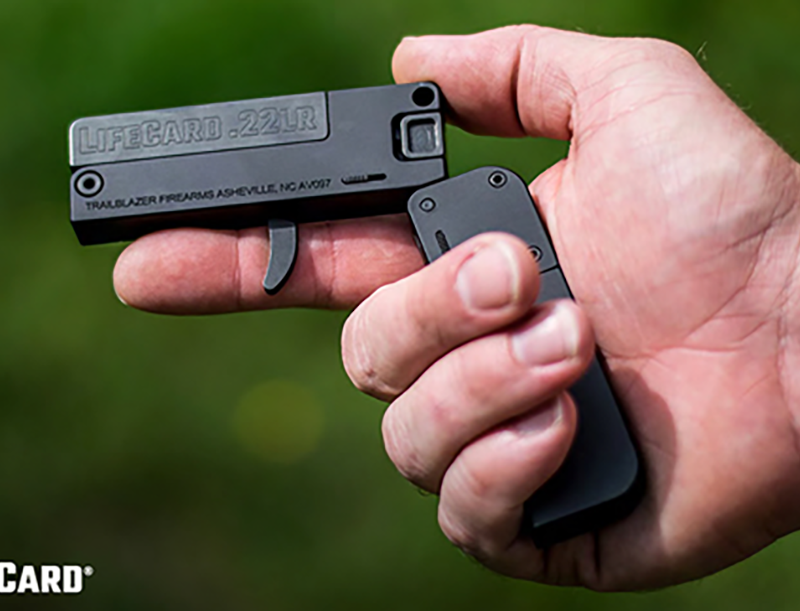 A chamfered cylinder and custom Hogue stippled hardwood grip with dual speed loader cuts enable quick reloads, making the Match Champion ideal for personal protection, competition and IDPA matches in particular. 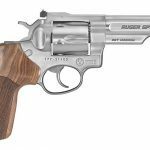 For more information on the GP100 Match Champion revolver or other products from Ruger, please visit Ruger.com. 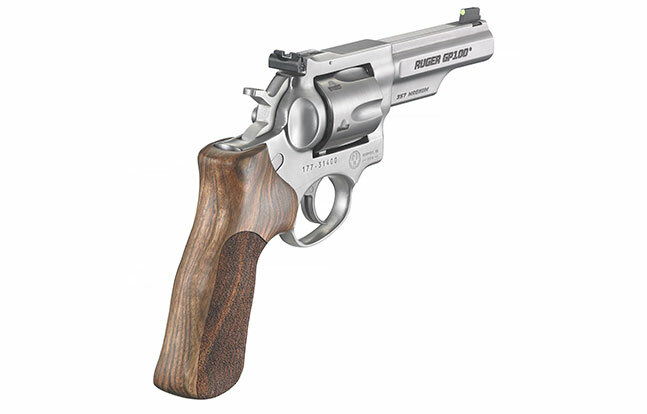 To find accessories for the GP100 Match Champion or other Ruger firearms, visit ShopRuger.com.